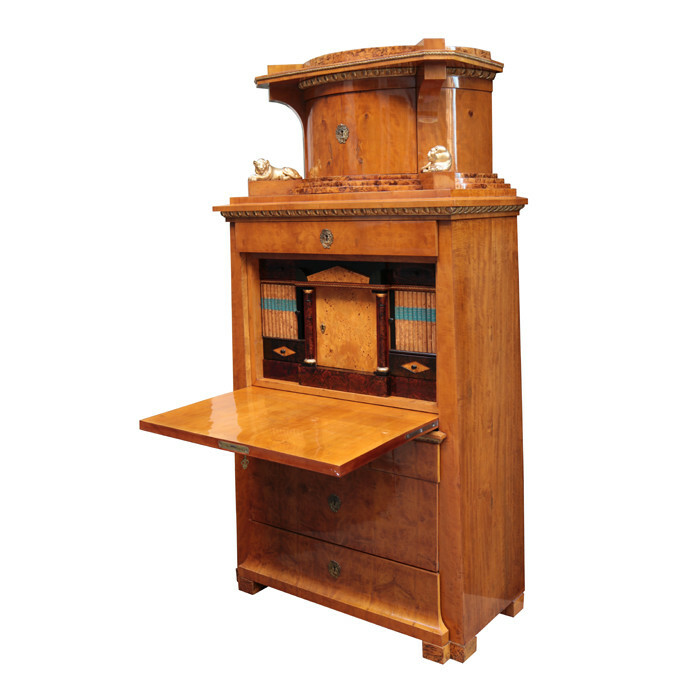 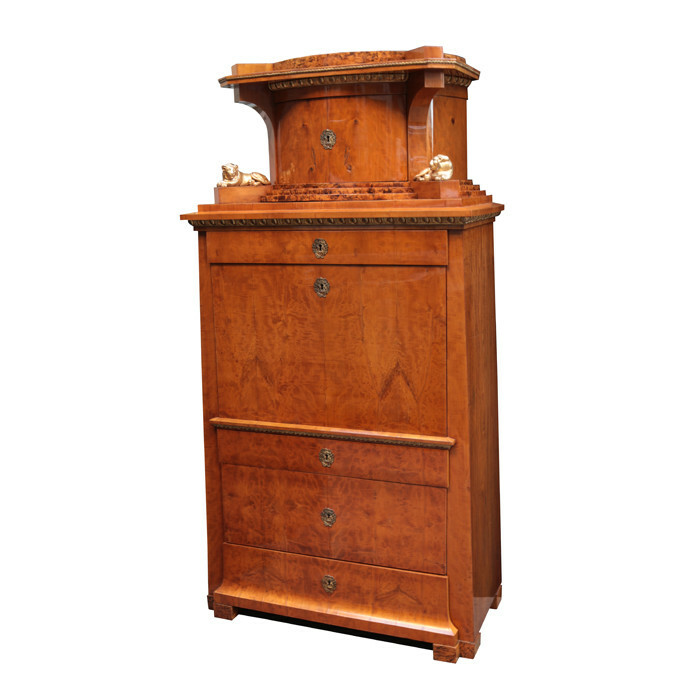 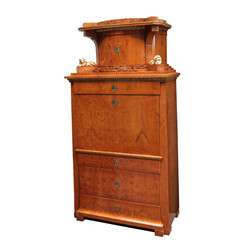 A fine Biedermeier secretary. 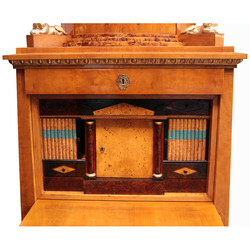 Birch with birch root burl details, and carved giltwood details. 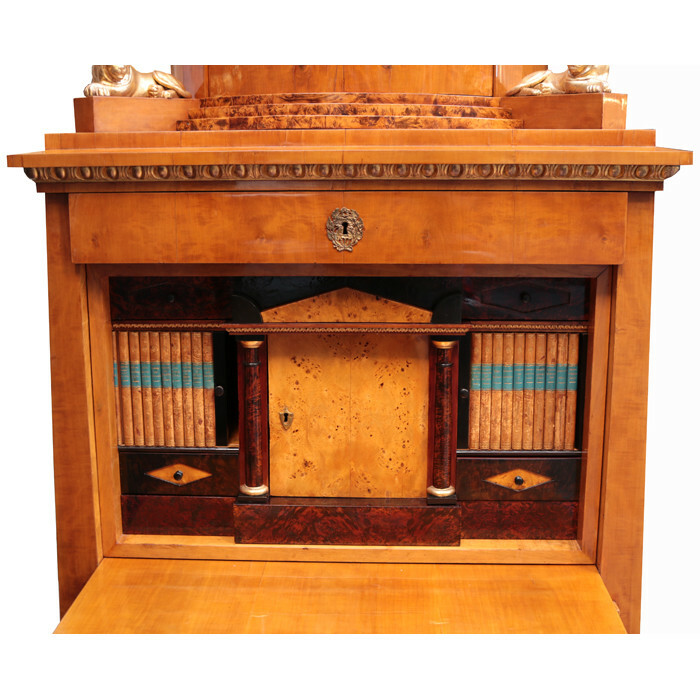 Drop down writing surface opens to reveal storage compartments in birch and birch root burl with sliding accordian doors decorated as books. Dimensions: H:71¾ W:37 D:18 Inches.